Working on a rehab that includes a second story addition may be intimidating for most investors…but not Steven. With 30 years of construction work under his belt, he is very comfortable with major renovations. He was eager to tackle a big rehab as a new investor. Steven saw the worst house on the street and visualized its potential. He believes that an emotional detachment from a property is healthy and can lead to great deals with increased profits. Basically, he cautions new investors not to fall in love with a property. This is a business deal and the potential profit/equity is the priority. Steven has been investing enough to know that if you don’t immediately jump on an opportunity, you will miss out. That’s how he started his business and how he plans to grow it. Steven checks his daily property alerts from MyHouseDeals, always looking for his next deal. NOTE: Since Steven is a Premium Elite member, he received a FULL refund of his up-front membership fee for simply doing a deal! Find out more about our Premium Elite membership here. I’ve been in the construction business for 30 years, and I grew up in a family of carpenters and builders. I pretty much grew up on a job site. Sometimes, working with family can be difficult. You don’t see eye to eye sometimes, but I’ve had wonderful experiences with my father. I just love the man and I love everything that he’s taught me. I worked for and had great experiences with my grandfather too. I worked for both of them on and off for many years. About a year ago though, I started looking for another job and even praying about it. Within a couple weeks, my girlfriend came across an opportunity to go check out a workshop on real estate investing. I think it’s those critical moments in our life where if we don’t take that one path, things won’t happen or the things that should happen will be delayed. From that point on, I got very deep into different types of investing because I came across the right people. It’s because of the people, the experts in the industry, and what they taught me in a year about so many kinds of investing that I have a real estate investing business right now. 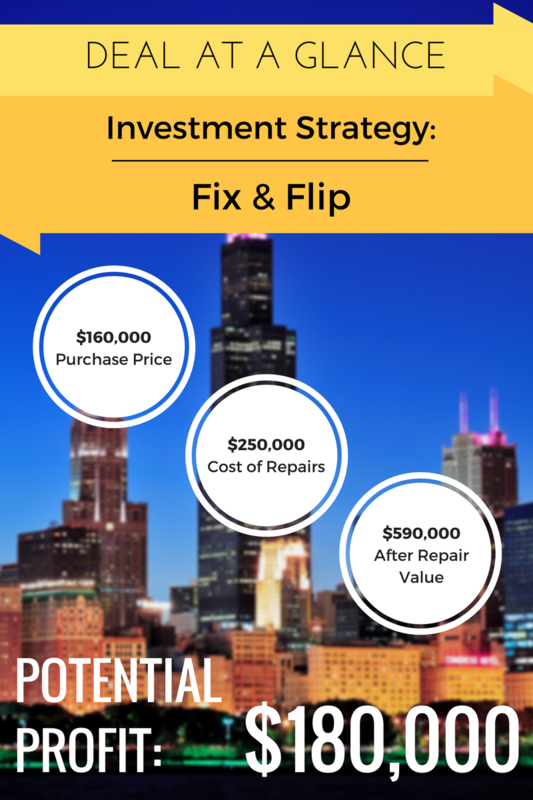 I do all kinds of investing properties, not just flips and rehabs. That turning point was phenomenal. I’ll never forget it. What were your plans with this deal after you found it on MyHouseDeals.com? I’d been looking around for quite a while (a few months) and I came across MyHouseDeals.com. I saw the house right away. It was a For Sale By Owner house. We jumped on it. There were lots of people interested in it. Nobody really saw that if you were just to slightly rehab the property, you wouldn’t get your money out of it. It was a little 900 square foot ranch and there was way too much to be done to the property. For things like that, you can run into high costs by doing a new water service or a new sewer. I knew that I was going to do that immediately. After putting that in, you’re not going to get your money out of it by just rehabbing the first floor. So, my vision was to create a brand new second floor. Did you have any surprises in that flip? There’s always a couple things. I knew I was going to do a new water service. My water service was under the street, so that ran into some higher costs. I had to get permits for tearing up the street. The water service ran into the bike lane, and then I had issues with permits. So I just had to fix it all and it ran high costs. It wasn’t your typical $5,000 for replacing the copper line to the house from the parkway. I planned for some costs like that, but I know there’s always going to be surprises. You have to be prepared for those surprises and know what to do. How do you prepare for those surprises? Don’t pay too much for your property. How do you figure out how much to pay for a property, accounting for those surprises? Don’t fall in love with the property just because of the location. If somebody wants too much for it, move on. That’s one side of it. Then let’s say it’s very desirable, you want the property, and now you’re stuck with it. In this scenario, you may have to try to save on rehab costs. You have to ask yourself, “What kind of line of products am I going to be putting in the house?” You may have to save that way on the back end. How do you calculate the actual number you’ll pay for the acquisition cost of the property before you flip it? I estimate my repair costs. It’s very important to know your repair costs and have a little fudge factor in there. Since I’ve been in the construction industry, I can get pretty close. I also look at the comps in the area, like what’s been selling, what’s out there, etc. In Chicago, however, it’s hard to do that because the same size house in one area could go for almost double in another area. That unpredictability can make it very difficult in some places. You take those comps and subtract your repair costs, the profit you want out of the house, all the real estate costs and fees. Then with that number, ask yourself: Am I close to their asking price? That’s exactly how I calculate my costs. Is your primary investing strategy focused on flipping? My main focus is on flips and on renovations. I love this kind of project…this in-depth project of constructing a new home. It’s pretty much a brand new two-story home, so the house is almost fully knocked down. This can be very overwhelming for some green investors, but I was comfortable with tackling this kind of property. So, I think I’ll stick with renovations similar to this. 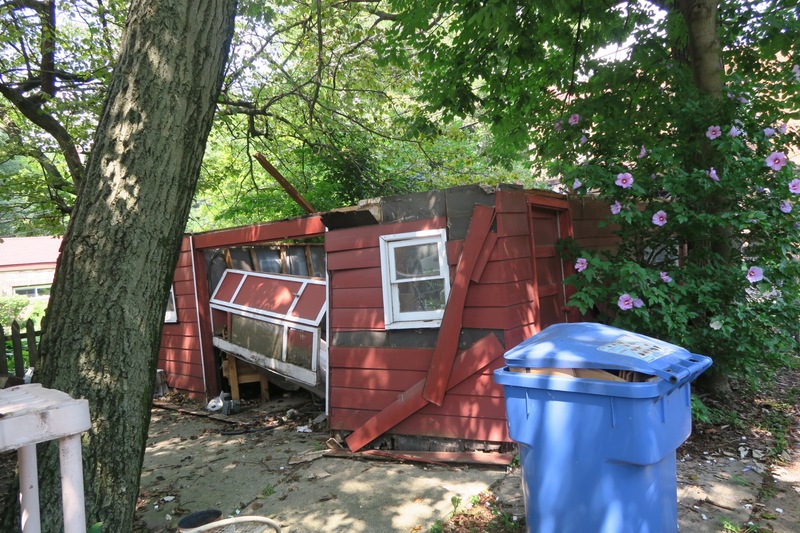 Chicago really is in need of fixing up a lot of the older homes built in the early 1900s. I do focus on other things that I’ve come across like tax liens and tax deeds. I have acquired properties in other states. I have other people helping me do that. I actually did another deal just recently through MyHouseDeals.com. I partnered up with another investor. He had too much of his money in too many other properties and was having a hard time finishing his flip. I stepped in and helped him finish his deal and that’s on the market right now. 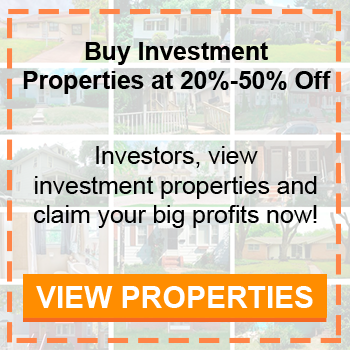 Tell Us About The Deal…..
What kind of property were you looking for on MyHouseDeals? I was pretty much focusing on single family homes in Chicago. I was staying away from condos. What’s great about your website is that I just have to set it up to send me emails every day of the newly listed homes that investors are wholesaling out there and selling. Then, I can just go right there to those listings. That’s one of the first things I do when I wake up. How many of those single family properties did you look at before you decided to buy one? I looked at quite a few. It can be overwhelming. At first, you look in your area and see that there’s a lot of homes for sale. But then these other homes pop up in Chicago and up north. Sometimes, you have to reel yourself in and say, “Okay, let’s just focus on this one area.” The amount of homes for sale out there is just too overwhelming. So, I just stuck to one area. When that property came across, I jumped on it. When you inspected the house, what did you find? 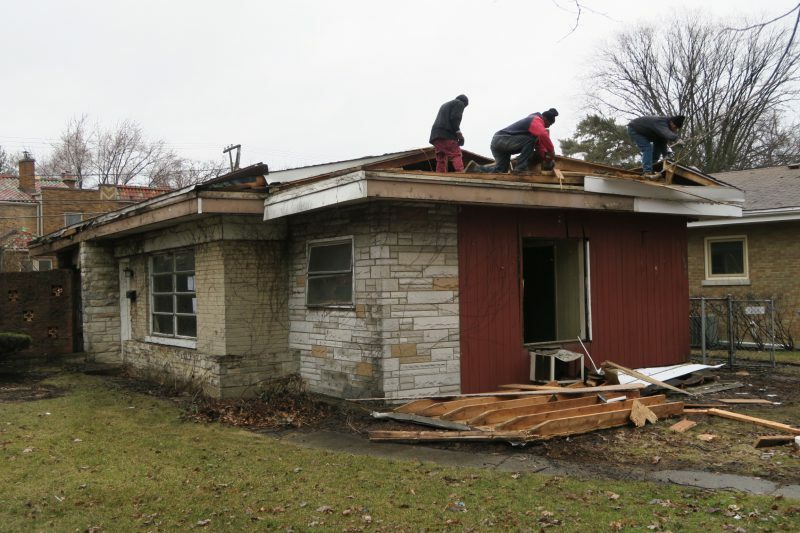 Taking down the roof to make room for a second story. I pretty much didn’t care about the rest of the property. There were lots of trees on the property and I knew I was taking those down. There was the garage in the back that was falling down. There was a tree that had uprooted one side of the wall and jarred the garage door. You couldn’t even open up the garage door. The falling down garage in the back on the property. My real estate broker, who is a friend of mine, and I said, “Let’s jump on this one.” And we did. We started working with the investor who was selling it. It turned out that he was indirectly a friend of the person selling it. It’s weird how that turned out. Being in the construction industry, I was in the union almost my whole life. I worked with union subs and contractors, so I knew it would be a little difficult. I thought, “How am I going to find non-union carpenters and plumbers and everything like that?” My friend helped me out because he’s built plenty of homes, and he was nice enough to give me some of his subs. This was probably big savings on the first huge flip that I did because finding good subs that are honest out there, even in the union, is tough. You might have to go through a few subs. I already started great relationships with the subs that he gave me and they’re wonderful so far. What was the process like when you started the rehab? From the very first picture, I knew I was tearing everything down. On the day after, I hired somebody to tear down the garage. I start getting thank you’s in the neighborhood. After the garage, I started designing the home with my architect. Once that was done, I went in for my permits and was starting to clear out the home inside. We cleared everything out because the guy left all his stuff, which I knew that he was going to do. We got our permits and we tore the whole roof off and everything inside. It was all gone. We just left the four outside walls and started construction. Everything on the first floor and second floor was brand new. I decided that the home would have attic storage. 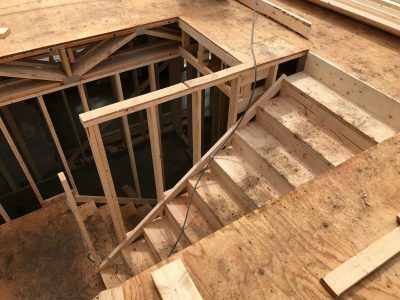 The home doesn’t have a basement, so I came up with the idea to just say, “Okay, your basement is now your attic.” There is a second staircase that goes up to the attic area which creates the “basement.” If we were to create an actual basement, I would have to tear down the whole house and dig a foundation. With doing that, you have to know about zoning and the setbacks would have caused me to decrease the width of the building. We didn’t want to do that, so we went this direction. Zoning is another thing you need to look out for when you’re building homes and renovations like this. Know your zoning, what’s coming up, and know some of the basic codes out there. Know what you can and can’t do. Otherwise, you could run into a lot of extra costs. How did you finance the property? I had my own cash to buy the property which was a huge help. This would become a 9-month deal to the point where the property would be just sitting there during all my designing and permit stages while going through the city and everything. If I were to get a loan on that property, I would be running up all those interests costs while I’m not even doing anything. That’s really what you have to prepare for. You have to ask yourself, “What are my interest costs?” Remember to have all of that figured out. Do you have any advice for people trying to fund a deal? One way is the tip I gave you earlier: If you have some of your own cash to buy the property, use it. If you need any loans, go through the people you know. With friends and family, it could be a little harder and they might be skeptical of what you’re doing. But that’ll probably be the most cost-effective way to do it. Know about hard money lenders before you deal with them. There’s lots out there. Taking loans from them are very expensive types of loans, but that’s a big part of how real estate investors get started today. Once you do your first couple of deals, then move your lending over to other investors who you get to know through investing. Once you use your own banks and get your business up and running, banks will give you a much lower percentage of a loan. What other advice do you have for investors who are just getting started? Keep it simple on your first few deals. As you see, this is a very complicated and involved flip that I’m doing. It involves a lot of people and planning. But keep it simple for the first ones. Do a cosmetic rehab so you know the process of everything. That’s probably the most important thing. Stick in the areas of the types of homes that are selling the most, which are 3 bed/2 baths. You’ve probably heard this from other teachers or other investors, but do your due diligence. Just do your homework. Ask yourself, “What are my comps in the area? Did I talk to the neighbors?” There’s lots of ways. It’s just getting the needed information so that you can minimize the surprises that may show up.